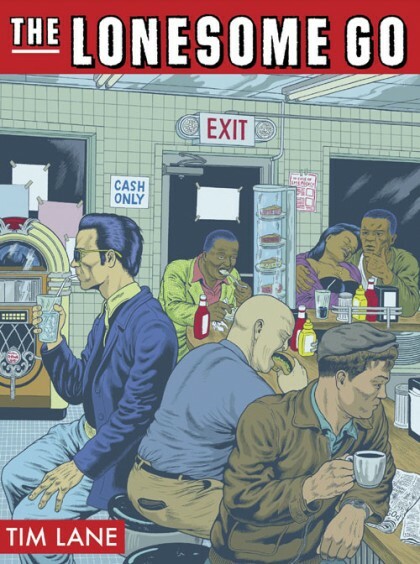 SETH’S PICK :: THE LONESOME GO: It was tough to narrow my picks down to a single book this week. I could easily write about Jason Aaron’s new crime series Men of Wrath, the second issue of Ryan Browne’s hilarious God Hates Astronauts, or Blackhand Comics from Deadly Class artist Wes Craig. I’ll be picking all of those up this week, but I’m most looking forward to The Lonesome Go from Tim Lane and Fantagraphics. That’s a name most of you probably aren’t too familiar with, but he released a fantastic critically acclaimed book called Abandoned Cars a few years ago that I reread once a year. This new book is a continuation of the types of themes and characters Lane first explored there: drifters, hobos, Americana, automobilia, early rock and roll and more. The narratives pay homage to the Beats, Charles Bukowski and Tom Waits, among others. Visually, Lane seems to channel parts of Dan Clowes, Charles Burns and various American Splendor contributors. Lane’s stories are admittedly dark, but also keenly aware that there is something inherently nostalgic about traveling America, alone or with complete strangers. The result is a book that is, like a road trip, as freeing as it can be unsettling. 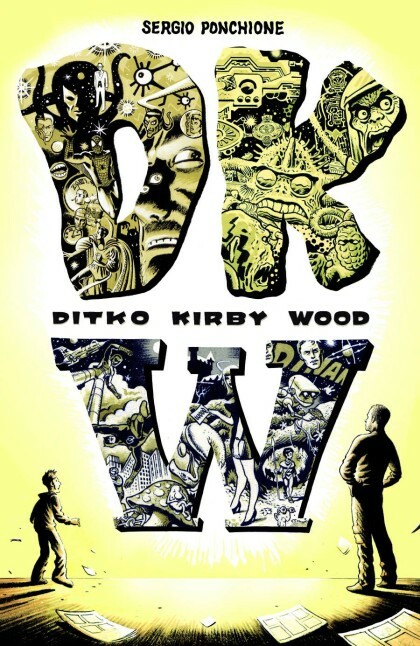 Fantagraphics has several preview pages available on their site HERE. Don’t miss this excellent book in a week full of good comics choices. 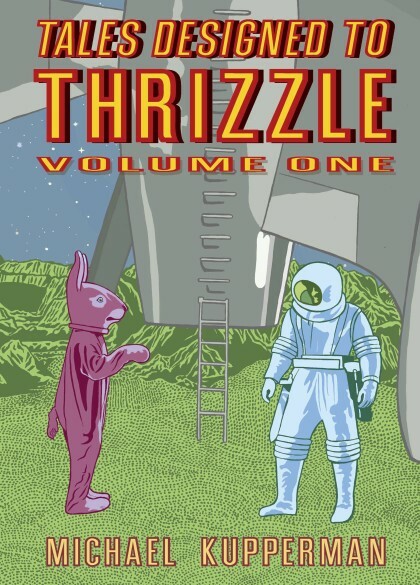 JUSTIN’S PICK :: TALES DESIGNED TO THRIZZLE TP VOL 01: If you don’t like this comic, I cannot help you. I can maybe pretend to help you, and I may be accommodating and pleasant, but we both know that the thrizzle is gone. That flame is doused. How could I really, truly concern myself with someone who would deprive themselves of the joy and the ecstasy that is Michael Kupperman‘s Tales Designed to Thrizzle? You just hate laughter, don’t you? We have a name for people like you: the Enemy of Fun. That’s right! ENEMY! OF FUN! Go read a Chris Ware comic, you miserablist! GOSH. 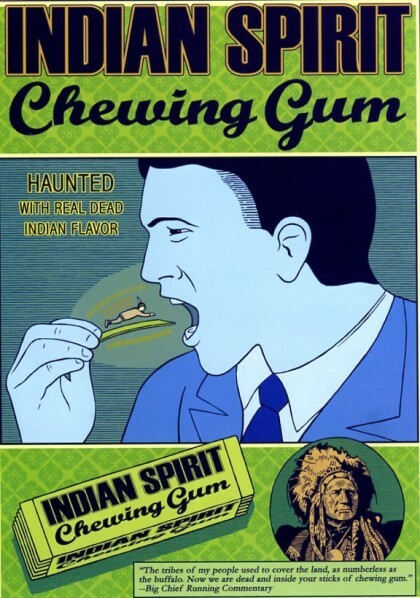 …and JUST SO YOU KNOW the calibre of AWESOME JOKES you’re WILFULLY IGNORING, here’s a favorite bit o’ mine. LIKE YOU CARE. 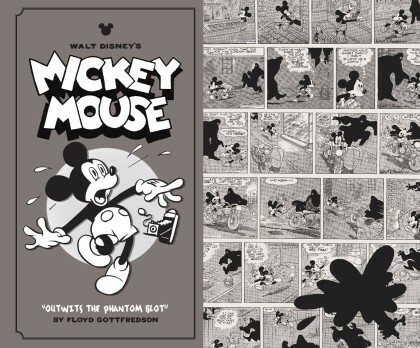 JUSTIN’S PICK :: DISNEY MICKEY MOUSE HC VOL 05 OUTWITS THE PHANTOM BLOT: Here’s a comic nerd SAT analogy for you: Carl Barks : Donald Duck :: Floyd Gottfredson : Mickey Mouse. Fantagraphics continues their handsome reprints of Gottfredson’s definitive work on Disney’s beloved mascot with this fifth volume. Before he was a ubiquitous shill, Mickey was an adventurer through and through, as these strips testify. Volume five pits Mickey against (arguably) his greatest villain: the Phantom Blot. Actually the creation of Gottfredson himself, the Blot is a brilliant example of minimalist design, evoking menace and mystery, making him a compelling villain indeed. And just wait ‘til you see his unmasking…no spoilers! Great for fans young and young-at-heart, these books are also a keen reminder of the tactile pleasures print media offers. ANDY’S PICK :: Walt Disney’s Donald Duck: “Trail Of The Unicorn”: I will not rest until everyone is reading these reasonably priced and beautifully designed and edited volumes of Carl Barks’ Disney Duck masterpieces. This is the 6th volume to be published by Fantagraphics and every one of them are great. You can purchases ANY single one of them and read them in any order. Fantagraphics is not even bothering to number the series, so readers can just jump in anywhere they want. Gasp! That goes against everything our passion/hobby usually requires. But these are arguably some of the greatest comics ever published. And they are as vital and funny today as they were when they were first published over 65 years ago. 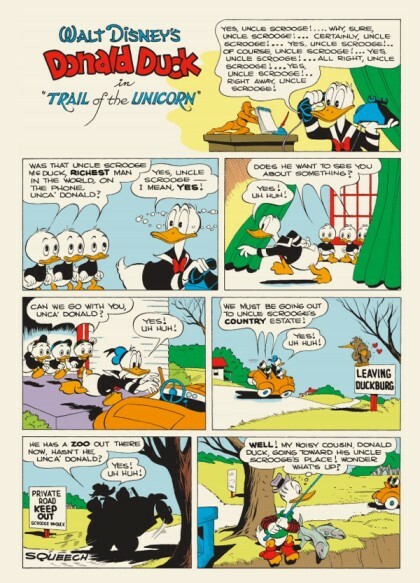 Each volume includes a handful of the Donald duck full length adventures and the, marvelous 10 pages as well as a number of single page gag cartoons. 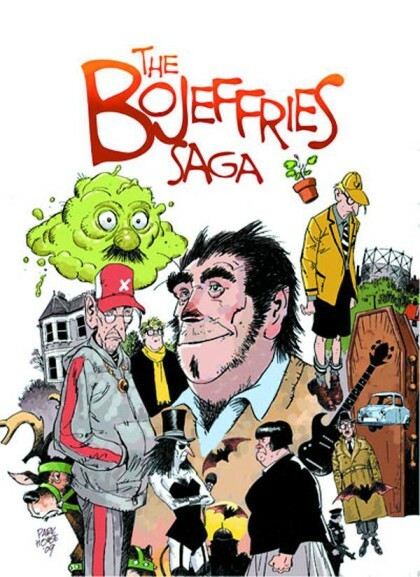 And each volume contains short essays about each story from some of the best critics and comic writers around. Please buy this volume–Trail of the Unicorn or any other volume Justin keeps on the shelf. You can’t lose! SETH’S PICK :: SOCK MONKEY TREASURY HC: This is one I’ve been anticipating for some time now. 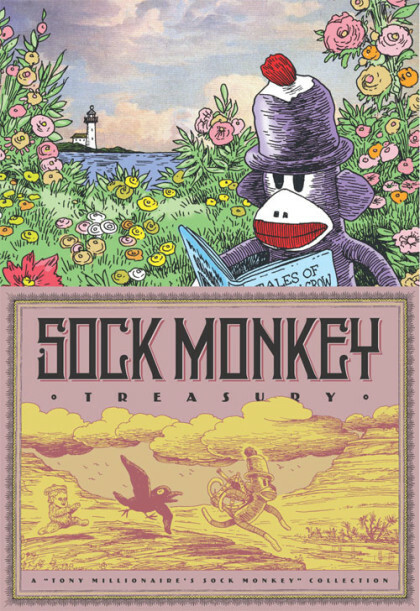 At over 300 pages, this sprawling treasury collects all twelve of Tony Millionaire’s award winning Sock Monkey comics, plus a full color novella, an illustrated storybook and a full length graphic novel. Millionaire’s work, while easily enjoyed by young readers, is also something that adults can appreciate. There’s an underlying sense of the odd and twisted in these narratives, which are wonderfully rendered in a style that conjures up memories of E.H. Shepard and Lewis Carroll fever dreams. There’s also humor here, though it’s not nearly as dark as you might have seen in Millionaire’s decidedly adult Maakies strips. With most of these books out of print, and the individual comics especially difficult to find, this treasury is absolutely the perfect opportunity to see why so many people respect Tony Millionaire and his inimitable work. 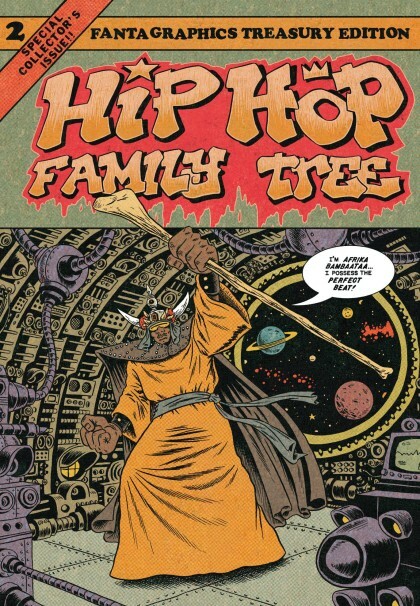 Just check out THIS incredible preview available on Fantagraphics’ website to see why I’m so excited about this book.